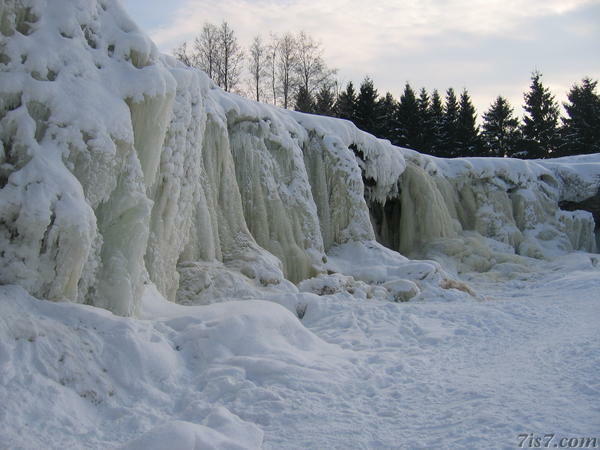 The Jägala waterfall is the biggest waterfall in Estonia. The fall is 8 meters high and about 50 meters wide. 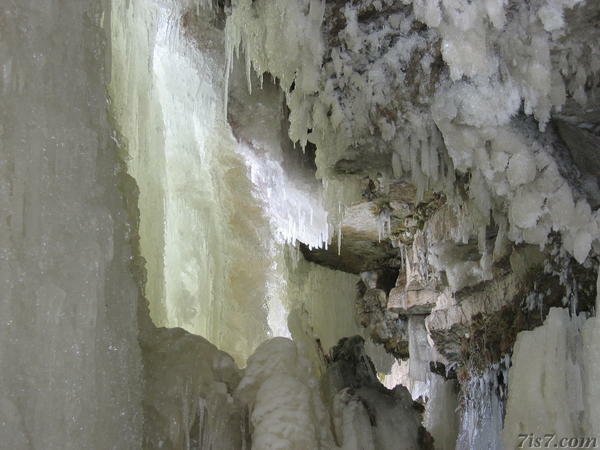 The first photos show the waterfall when it is frozen, a regular ocurrence in winter. 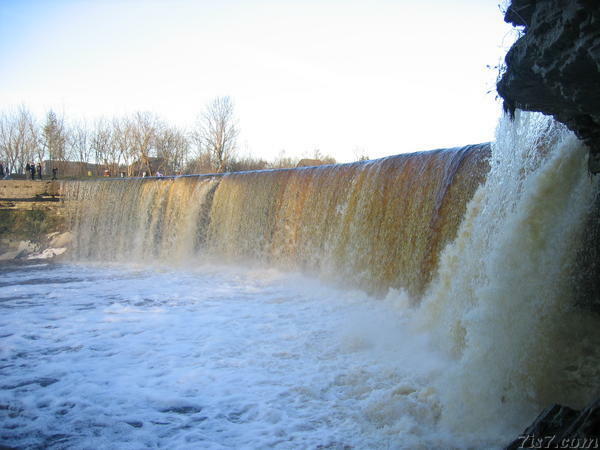 The last photo shows the Jägala waterfall in spring. Location: 59°26'60"N 25°10'42"E on: Google Maps, OpenStreetMap, Maa Amet.